We’ve equipped our Arlington, Virginia, storage facility with features that will make your storage experience a breeze and set your mind at ease. We monitor our property with 24-hour digital video surveillance and keypad entry, so you will always feel safe accessing your storage unit during our extended 6A to 9P access hours. You’ll have access to your unit 365 days a year, including holidays, allowing you to get to your items whenever it works for you. Our Property Manager and her team are ready to assist you, with office hours seven days a week. So whether you need help determining the best unit for your needs, need to downsize or increase your space, or just need to drop off a payment, Self Storage Plus is here to help. 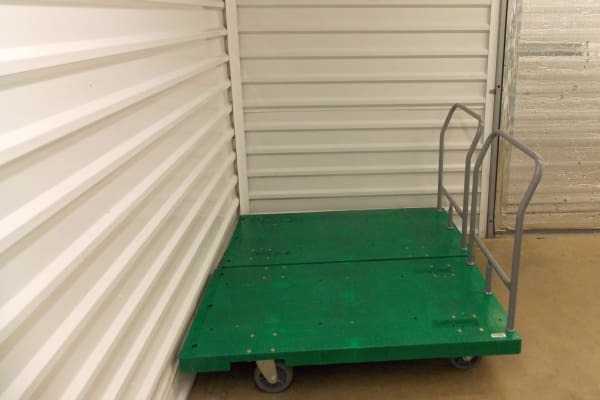 To make loading and unloading your unit as simple as possible, we have carts and dollies available. We also offer a free one-time use of our move-in truck when you rent a unit, for an easy and hassle-free moving day. If you’re unsure how long you’ll need to store your items, we offer month-to-month rentals to avoid long-term commitments. You can save a stamp or avoid a trip to the office to drop off your monthly payment, when you take advantage of either automatic payment or our online bill pay options. At Self Storage Plus, we will simplify your storage experience, allowing you more time for the things you enjoy most. To find out more about our self storage facility and all its features, call and speak to our dedicated storage professionals.